Important: by submitting information manually or in electronic form to us and/or by using our Website, you give your consent that all information that you submit may be processed by Southside Garden Supply in the manner and for the purposes described below. 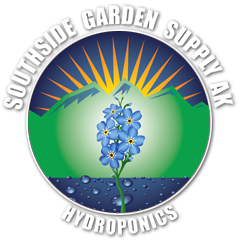 Do not send Southside Garden Supply any confidential or proprietary information other than as necessary to process your order or inquire about our services or products. What type of information does Southside Garden Supply collect? Our goal is to provide you with an enjoyable shopping experience. We sometimes collect information about you in an effort to make our products and services more efficient and customized to you. You are free to browse the Website without revealing any personally identifiable information about yourself. However, once you give us your personally identifiable information (as further described below), you are not anonymous to us. We collect two types of information from visitors to the Website, “Automatic Anonymous Information,” or “AAI,” and “Personally Identifiable Information, or “PII.” We treat AAI and PII differently and the following sections describe both AAI and PII, and address how each type of information is collected and used by Southside Garden Supply. If you provide us with your e-mail address as part of a purchase transaction on our Website, or if you opt-in to receive communications from Southside Garden Supply, we may periodically send you newsletters, e-mails featuring exclusive sales and promotions, and e-mails requesting your feedback on our products and services. In addition, if you make a purchase on our Website, we may send you order and shipping confirmation emails. You can remove your e-mail from our e-mail list at any time by visiting the “Accessing and Updating Your Information” section below to change your preferences, or clicking on the “unsubscribe” link available in every e-mail from Southside Garden Supply. Does Southside Garden Supply share the information it receives? We may employ other third parties to perform services or functions on our behalf in order to improve our Website, merchandising, marketing and promotional efforts, communications or other services. Those third parties may include authorized contractors, consultants and other companies working with us (collectively, “agents”). They only have access to PII needed to perform their functions, and they may not share any PII with others or use it for any other purpose than providing or improving Southside Garden Supply’s services and offerings. Southside Garden Supply may be obligated to cooperate with various law enforcement inquiries. Southside Garden Supply reserves the right to share or transfer PII to comply with a legal requirement, disclose any activities or PII about you to law enforcement or other government officials as we, in our sole discretion, determine necessary or appropriate, in connection with an investigation of fraud, for the administration of justice, intellectual property infringements, or other activity that is illegal or may expose us or you to legal liability. As of the date of this agreement, Southside Garden Supply is not actively collecting any PII information about you directly on the sgsak.com website. As it does in the future, you will always have the opportunity to review and change the information you provide to us by logging into the site and entering in the new information yourself. You can edit your name, contact information and preferences by logging into the “My Account” section of the site.